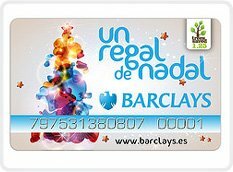 As every year at this time, Digi-cards Christmas Cards and Holiday Cards start production and make their way into the homes of happy end-users during the holidays. As one of the best ways of maintaining customer contact and relations, hundreds of companies around the world turn to Digi-cards to give one of the most efficient Holiday gifts ever, a customized multimedia download card. "There is a feeling of excitement when you get something in the mail or while walking around the mall other than a simple holiday email, something you can hold and keep in your wallet, desk, etc. and you can download a game, a Christmas song, an application, an eBook, etc." said Guadalupe Hernandez Moreno, European Sales Manager from Vital Digital Global Corp., parent company of Digi-cards. "Think about this, how many stores, banks, insurance companies, give you a nice holiday gift during the holidays?" she added. Nothing better than Digi-cards with the logo of your company and a nice download as your gift to keep that feeling of giving during the holidays. Inching closer to its patents, Digi-cards download cards are still the choice to fulfill the custom multimedia download cards needs of clients ranging from club cover bands to Fortune 500 companies globally. Six years ago the CEO and founder of the then Digimusicards Gerardo Alton-Ortega came up with an idea to distribute music albums. This idea and method of distribution through a card-like device has been purposely extending its patents pending status to establish the business model throughout the world. "Once you have a patent, companies will go around it to copy your business as closely as possible. When you have a patent pending, copy cats are placed on notice but help to develop and market your product until you finally get the patent and can proceed to negotiate licenses. This is our strategy. "In a worst-case scenario you fail to patent your product but you are still the leader in the business" said Don Luxenberg, legal head at Vital Digital Global Parent company of Digi-cards. The custom multimedia download cards are now an established marketing product, as well as a physical distribution tool known in most countries of the world. As a cost-efficient, eco-friendly, versatile and innovative product, Digi-cards download cards lead the way. After one year of development and six months of beta testing Digi-codes, the newest brainchild of Vital Digital Global is officially released commercially. 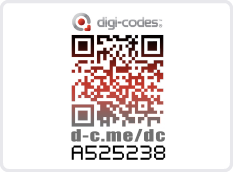 Digi-codes are the new patent pending product now being called "QR and 2D codes on Steroids". The Digi-codes are a combination of three required elements: a quick response code (QR code or 2D code) a Shorturl (HTTP Redirect) and a validation code (variable), the nexus of any of the first two with the validation code is what makes Digi-codes unique and with hundreds of commercial applications. Digi-codes and its patent-pending graphical configuration allows fast access from end users to content, surveys, genuine product validation or verification (anti-counterfeit) and many other applications while our clients benefit from database compilation, multimedia content distribution, added value and hundreds of other benefits. Digi-codes are part of the Vital Digital Global family, the worldwide leader manufacturer of multimedia download cards known as Digi-cards. 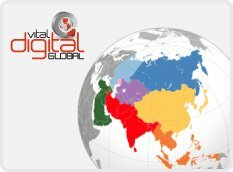 For more information about Digi-codes please visit our corporate website at www.vitaldigitalglobal.com or the official Digi-codes website at www.digi-codes.com now live. Vital Digital Global, parent company of Digi-cards and Digi-codes products, is setting its sights on Asia as one of the fastest growing smartphone populations with a lack of efficient physical distribution, thus increasing the potential of Digi-cards as added-value products for Multinational companies. Hong Kong is the capital of Asia, and the proximity to its manufacturing plants in Shenzhen is the perfect spot and has won over the other option: Tokyo. The Hong Kong office will be run by the Asia Sales Manager, soon to be appointed, as well as the Asia Chief of Operations Officer, Foris Mo. The goal of this office will be to function as a liaison with future Asia exclusive distributors, manage direct corporate sales, and also manage worldwide logistics. The goal of Vital Digital Global is to place its product anywhere in the world in less than seven days and Hong Kong makes this goal a reality. 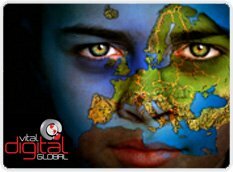 Vital Digital Global parent company of Digi-cards continues the European expansion welcoming E.D.G.S. sl. an Andorran corporation based out of Ordino, Andorra and now the new Andorra, France, Portugal & Spain exclusive distributor for all Vital Digital Global products. Gerardo Alton Ortega CEO and Denis Pascual Chief of European Operations signed the agreements this week in Principat d´Andorra with Miquel Vicente, President of the newly formed corporation. During the ceremony Gerardo Alton Ortega said that there is no better time than during economic uncertainty to establish yourself and your product to be ready for the imminent rebound. Sales of Digi-cards continue to grow in Europe where VDG already has distributorships in Italy and the U.K. with more to close before the end of the year. In a move to consolidate global operations, Vital Digital Global has opened a new address in New York City . As of now, the parent company of Digi-cards had operations based in Miami, FL. which was a strategic location for its growing business in LATAM as well as in the USA. However in recent years this business expansion has gone East to Europe, Africa and the Middle East so it seemed a good decision by Gerardo Alton-Ortega (CEO) who also has his company sights on Wall Street, Venture Capital, and a probable IPO not too far in the future. 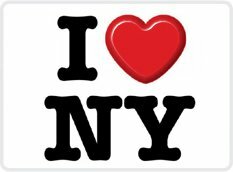 The New York Offices will become global operations headquarters by 2013, with the Miami office still serving LATAM distributors. PepsiCo newest marketing campaign promoting Mountain Dew "Do the Dew" just got better. 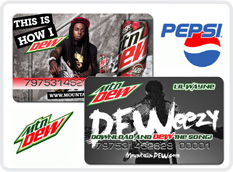 This summer the "Do the Dew" campaign with multi-platinum recording artist Lil Wayne "Weezy" will include Digi-cards as an innovative physical promotional tool. Digi-cards, which is the worldwide leading producer of multimedia download cards is proud, once again to serve another FORTUNE 500 company and demonstrate that Digi-cards are the best versatile tool for branding, and efficiently delivering multimedia with many marketing benefits. In a surprising, unprecedented deal for Digi-cards, this versatile product is now in the hands of thousands of season ticket holders. Not only can the season ticket holder access information through the intricate TICKETMASTER system for games, they have the added advantage of self registration as well as access to exclusive content, promotions and gifts, provided by Digi-cards. 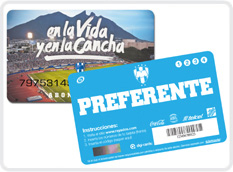 The current CONCACAF Champions and one of Mexico’s best professional soccer teams, the FC Rayados de Monterrey are the first team in the world to take advantage of Digi-cards as “anti-counterfeit season passes”. This deal was possible thanks to the easy integration of Digi-cards with TICKETMASTER system and the innovative thinking of the marketing team for FC Monterrey, who now have an incredible added value product for marketing and branding. All FC Monterrey fans are sure to enjoy the extra features provided by Digi-cards. Digi-cards is now compatible with all e-book software and devices making them the most efficient and last physical distribution option. Since the first catalogs where distributed more than 3 years ago making Digi-cards an eco-friendly, efficient and inexpensive replacement of distribution of paper products, many advances in e-book technologies have come and gone. Digi-cards has always been in the cutting edge of those technologies by testing and upgrading our systems to make them available to all publishers, independent or not. Digi-cards can carry everything from the most popular IDPF/EPUB .epub to the all of the following; .aeh, .djvu, .fb2, .html, .azw, .lit, .prc, .exe, .pdb, .txt, .pdf, .ps, .rgo, .tr2 and .tr3. Digi-cards also work in all of the following readers and operating systems: Kindle (All), Android, Apple, Azbooka, Nook (All), Bookeen Cybook, COOL-ER, GNU/Linux, Foxit eSlick, Hanlin e-reader, Hanvon WISEreader, iRex iLiad, Iriver, Kobo, Nokia, NUUTbook, OLPC XO, Onyx Boox, Mac OS X, Windows, Pocketbook, Sony Reader, Viewsonic VEB, Windows Phone 7. In addition, another benefit for publishers is that they can receive the official "Saved trees" logo from www.Digi-green.com, letting their readers know how many trees they saved by purchasing the Digi-cards in lieu of a paper book. 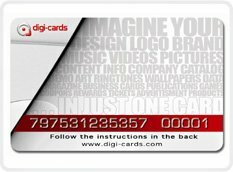 Digi-cards Worldwide will now be doing business under its new parent company Vital Digital Global Corporation, starting May 1 2012 and officially launching on May 24th 2012. 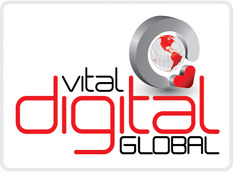 Vital Digital Global is a result of the rapid growth of worldwide distribution and also the new products being launched, an especially closely guarded product to be launched this summer and that will become a large portion of business as an add-on to the Digi-cards products. Gerardo Alton Ortega, founder of Digi-cards will remain CEO and interim Chairman of the new corporation and the former Vital Digital LLC partners will own 10% of the new company. Many of the current associates will own a bulk of the shares and other shares have been reserved for raising capital. Day to day operations will remain the same and the new corporation will still be based out of its Miami Beach address even though most of its operations are outside of the United States.